Shot to the heart and diamonds are to blame! 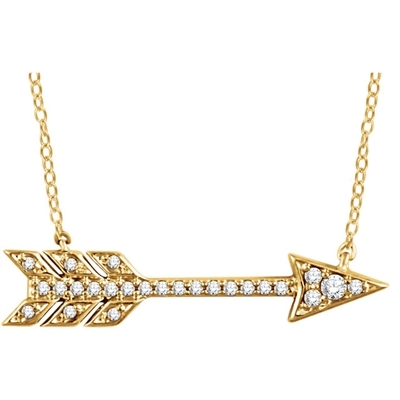 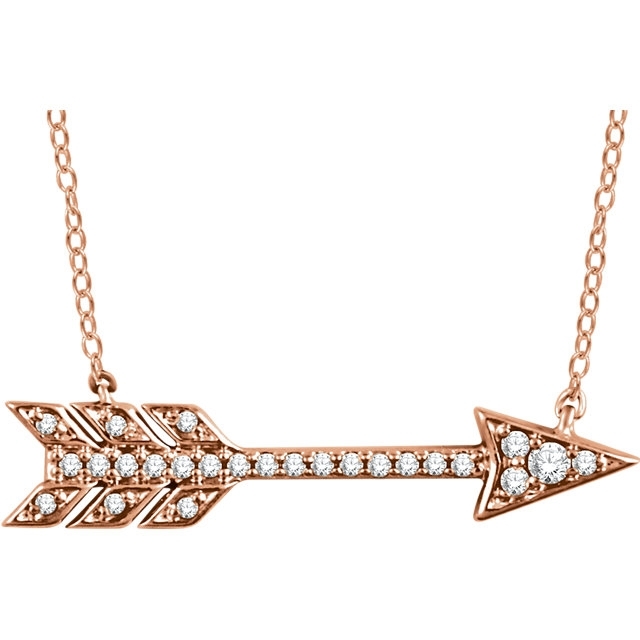 Featuring round brilliant diamonds all set in shimmering 14k gold, this diamond arrow necklace is a straight shot into the fashion world, available in rose, white or yellow gold. This flying diamond arrow necklace in 14k gold slings through the fashion world with round diamonds and a clever and interesting design.